Harkins Theatres may not sound familiar to everyone but it’s one of the hallmark chains in the cinema industry with roots going back to The Great Depression. To this day there are Harkins Theatres across Arizona, Texas, Oklahoma, Colorado, and California. With affordable Harkins movie ticket prices and such a rich history, who wouldn’t want to give this cinema a try? Prices were last updated on 23 March 2017. For specific ticket prices, please download the PDF file relating to the cinema you’re looking for. Harkins Theatres might not be as big as AMC or even the huge Regal Cinemas since there are only 33 locations today compared with the hundreds of the others. Don’t discount them immediately, though. These 33 locations combined produce over 600 screens for movie lovers to take advantage of. Harkin’s history date all the way back to the Depression era in 1933 and 1934. Founder Dwight Harkins left his home in Ohio when he just sixteen, back in 1931, and planned on starring in one of the “talkies” Hollywood recently introduced. Unfortunately, his funds were dwindling and his quest to become an actor was put on hold in Tempe, Arizona. After living in Tempe for a few years, Dwight Harkins renounced his acting career in favor of operating a movie-house. And so, in 1933, he opened the State Theatre in Tempe are taking over the lease for $50 (around $5,000 in today’s money). Following the opening, he attempted to expand with an outdoor theater. Unfortunately, this was only to last a single summer. The College Theatre became his next true theater, opening its doors in 1940. This particular theater became a hallmark of Harkins’ innovations. Many technologies and features that many theaters take for granted stemmed from this second attempt in the business. To this day, it is the only remaining Depression-era theater standing in Tempe, Arizona. After several decades of light expansion, Dwight Harkins opened his last theater in 1973, the Camelview Theatre, before he passed away in 1974. He was then succeeded by his son, Dan Harkins. By this time there were five functional theaters in Phoenix but the company was facing bankruptcy. 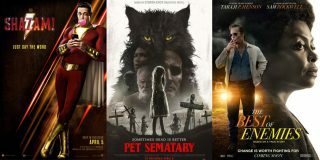 When Dan took over, he immediately sought to fight against the bankruptcy crisis and then expanded to the current thirty theaters existing today. There was just one issue: many first-run movies weren’t getting distributed to Harkins Theatres. Dan filed a lawsuit against the distributors and they began to settle to an amicable agreement. Success really began in 1982 when the company was given distribution rights to show Disney’s Fantasia (1940). In 2001, Harkins opened the PlayCenter which was sort of like a daycare for children. Parents could then leave their children momentarily at the PlayCenter so they could go on and watch a movie. By 2011, Harkins began upgrading more than 400 of its screens to utilize digital projection technology. Back in the 1940s, it was Harkins Theatres that began using glow-in-the-dark carpet markers so that people could see their way through the aisles. Harkins was also the first theater chain to feature fully automated drinking fountains as well as headphones designed for the hearing impaired. 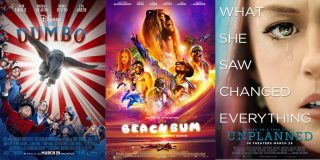 Harkins also has a unique program called Summer Movie Fun which would run 10 children’s film of the previous year, all as a single package for a low cost. This would allow parents to give their kids something to do during the summer for a low price. Tickets for Summer Movie Fun go on sale 14 April 2017 – you can find out more information here. Another awesome aspect defining Harkins which many theater chains no longer follow is a hand print opening ceremony. Dan Harkins and his family launch each new theater with a hand print dedication ceremony and then Dan Harkins goes on to purchase the theater’s very first ticket. 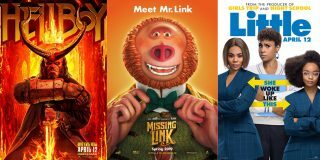 At select locations, you may be lucky enough to catch one of the latest international blockbusters on some of Harkin’s biggest screens they have. Specifically, Ciné Capri screens measure a huge 70ft x 30ft or 21m x 9m. Insane. Combine the humungous screen with 600 of the most comfortable stadium-style seating you can think of, and you’re in for a good time. Of course, in this day and age, no theater can be called the ultimate without the latest audio equipment as well. Which is why Harkins has left nothing to change by utilizing the Dolby ATMOS sound system – delivering over 40,000 watts of pure bliss to your ears. Harkins movie prices are relatively low when compared to others. However, just because there are fewer locations compared with the major players and Harkin’s tickets are affordable, doesn’t mean their theaters lack in quality. Quite the opposite. So why wait? If you want to watch the latest flick then look for a Harkins Theatres near you. With Harkins movie ticket prices being so low, you can always expect a good time with your friends and family at the cinemas. As much as we know you love paying for the great quality movie at Harkins, we know you’ll further love the chance to discount the cost of the tickets even more! 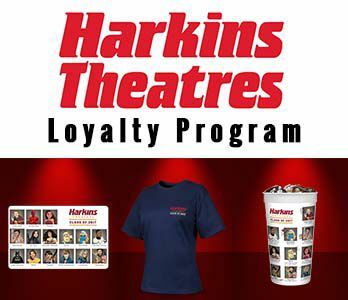 Harkin’s loyalty program is a bit different compared with some others out there – but we love it nonetheless. Why? Because it’s so damn simple! Want FREE medium popcorn all year? YES! All you have to do it wear your Loyalty T-shirt to the movies and it’s yours! Soft drinks refills for only $1.50? YES! All you have to do is purchase a single Loyalty Cup and you’re golden! More details about the loyalty program can be found here. Discounts on ticket prices themselves are hard to come by at Harkins, unfortunately. However, we were able to find one way to achieve this – through buying in bulk. Simply head to this page, and you’ll find a range of ticket options which you can purchase which will ultimately lead to savings over the long run. Across its 33 locations, there are some cinemas which clearly stand out as being far more popular than the others. That’s not to say the others are inferior in any way, just that they are frequented more often by its customers. As such, as we like to do on this site, we try and find its most popular locations and list them for you below. Even we were blown away when we saw these ratings. By far, the most consistently positive ratings on any theater you’ll find on this site. Incredible stuff by Harkins and their employees! Well done. We could list more, but we calculate it would take you 4 hours and 32 minutes to scroll to the bottom of the page. So we’ll leave it at two for now! As you now know, Harkins is one of the leading mid-sized cinema chains in the United States. 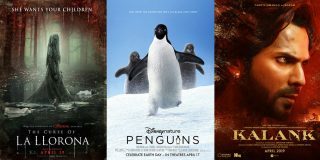 Although, remaining the size they have has allowed them to consistently provide the highest quality movie-going experience across all their locations. If you’re yet to give Harkins Theatres a go, we recommend you stop what you’re doing, and buy tickets to a Harkins near you today! For more information, please visit Harkin’s official website.